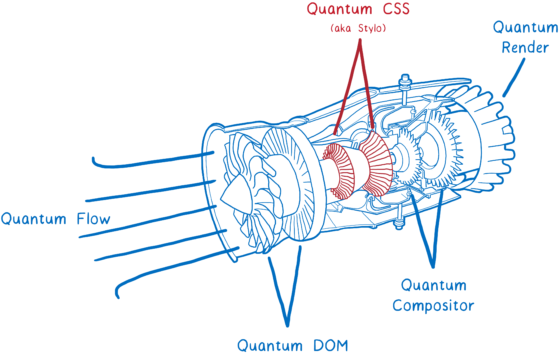 Great writeup on how Firefox’s new CSS Engine “Quantum CSS” works. Also sports a clear and in-depth explanation of the rendering pipeline, with some nice illustrations to go along. You may have heard of Project Quantum… it’s a major rewrite of Firefox’s internals to make Firefox fast. We’re swapping in parts from our experimental browser, Servo, and making massive improvements to other parts of the engine. The first major component from Servo – a new CSS engine called Quantum CSS (previously known as Stylo) – is now available for testing in our Nightly version.